Taking your bike out for a ride on a warm summer’s day can be exhilarating. It’s not relaxing, however, if you find yourself sweating buckets with no water for miles. A good water bottle is worth its weight in gold, so I’ve gone on a hunt for the best bike water bottle I can find. If you're in a hurry, I'd go for the Camelback Podium Big Chill. It's the most highly rated by reviewers and is made by a reputable brand. Founded in 1994, Polar Bottle is an American owned and American sources company. They are serious about the local economy so they get all of their materials from America. Polar Bottle has a passion for keeping things sustainable and this inspired their design for the reusable water bottle. This review by Kwabina is one of the most positive about the Polar Bottle product. You will note that her previous issue was in finding a bottle that could keep her water cold. The reviewer is convinced that this one does just that. Kwabina also did further tests, like keeping the product in the car to see how long the water inside would remain cold. Please note, however, that in all cases this reviewer filled the bottle with ice. Why do I note that interesting point? Many of the reviewers who live in warmer climates have expressed some upset and regret that the bottle doesn’t keep water cool enough for long enough. Everyone is looking for a bottle that keeps their water cold. I don’t know why some reviewers views are so vastly different on this crucial issue. 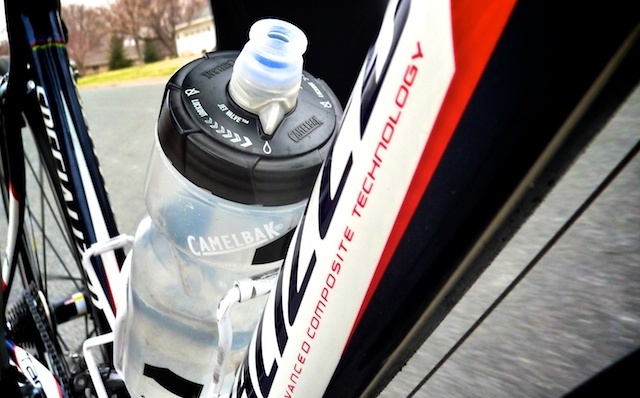 The story of Camelbak originates in 1989 with the "Hotter 'N Hell 100" in Texas. One rider was an emergency medical technician and designed a basic insulated water drink by filing an IV bag, then putting it in a sock. Yes, you read that right. This rider, Edison, created a hands-free water bottle. 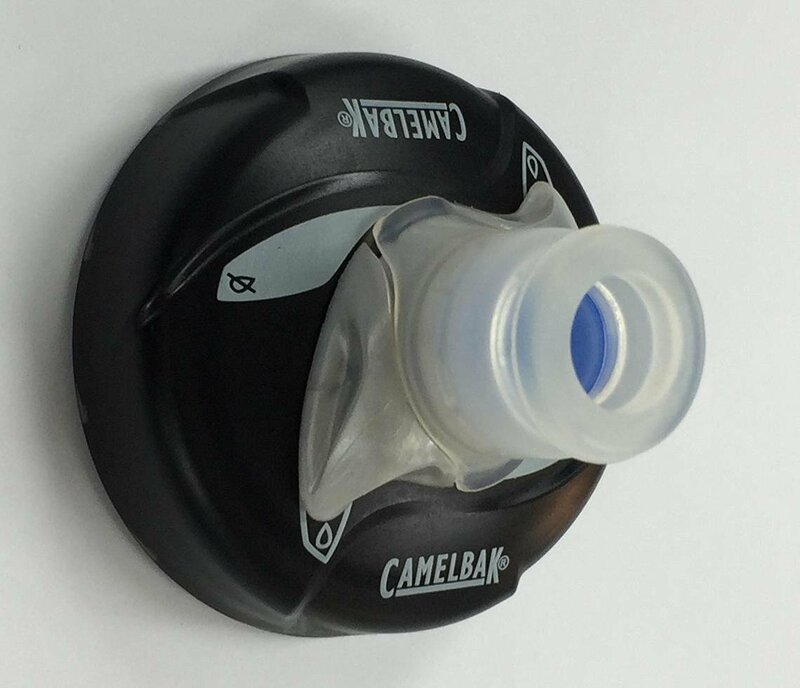 From this idea, the company CamelBak gradually emerged and produced a profit. As with Polar Bottle, they are on a mission to prevent the creation of so many regular plastic water bottles. This reviewer seems to hit on all the main points. Firstly, they’re happy with the fact it’s designed not to leak or spill. There’s nothing worse than reaching for a bottle and realising it’s been leaking out for the last hour. Secondly, she mentions that although it does keep things cooler than your average bike bottle, it won’t keep them cool for ever. A longer journey will turn your water room temperature or warmer, so be prepared. Do buy these products if you’re fond of morning fitness rides, or shorter recreational journeys. Don't buy them if you're more of a backpacking, cross counter or cross state cyclist looking for a drink that stays cool on the ultimate journey. There are better insulation bottles out there for such cases. This just makes life simpler. The jet valve works by replacing the usual bottle top. The bottle is squeezable which means you simply squeeze and let the water rush out and into your mouth. There’s no fiddling around. They are still much better than products that provide no insulation but they are not on the same level as vacuum sealed cups from other companies like Thermos. Of course, those companies don't design their drinks for long bike rides, so the bottles are bigger and bulkier. These two chemicals are used in the creation of plastic bottles. BPA makes plastic shatter resistant, Phthalate makes it flexible. A growing body of evidence shows that over time these two chemicals can leach into the water a bottle contains. Creating products that are free of these is healthier and better for the environment, although not quite as safe as using glass or stainless steel. But who wants to carry a glass bottle on their bike? If you’re willing to forego the convenience of a bottle that fits in your bikes bottle holder then you may consider buying a thermos cup. These keep liquids cool, or hot, for much longer. Some cyclists slip them in their backpack and pull them out when needed. They don’t look as stylish, and they aren’t as convenient, but they do the job better. ​Bladder hydration packs offer an alternative to using a bottle at all. They do, however come with some serious drawbacks. They contain much more water, which can be a plus but also makes things much heavier. The smaller sizes can fit in your backpack, but they are even more prone to growing mold because they are so difficult to clean out and can’t be put in the dishwasher. Another benefit is that it often works like an IV with a straw that helps water flow from the backpack straight to your mouth. Use it only if you’re willing to figure out a way to clean it. Both of these products are made by good companies with a major love for the environment. The worst that can happen is losing a bit of money for a good cause. I don’t think that will happen, however. If you fit the category of someone who cycles for their daily exercise, or who likes morning or afternoon excursions buying a new water bottle that you don’t have to throw away after use can only be a positive experience. Out of the products here. I'd go for the Camelback based on the high reviewer rating and excellent brand reputation.